I grew up on Long Island. Although I have lived on the west coast of Florida, which boasts some of the world’s most beautiful beaches for the past 20 years, Jones Beach will always be the most beautiful beach to me because it is home. If I close my eyes I can feel the gritty sand in my toes and hear the seagulls and the waves crashing to the shore. As a little kid I would play on the shore line, building sandcastles and jumping over the remainder of the breaker waves as they rolled up towards the beach. As I got older I became more adventurous and learned how to ride the waves in as they broke. It is an exhilarating feeling to catch a good wave at precisely the right moment and get a nice clean ride in. But occasionally you can be blindsided by a wave and get pummeled by it because you weren’t expecting it. Sometimes in an attempt to ride a wave you can jump in at the wrong time resulting in being creamed by the force of the current. This is a scary experience. In a matter of seconds you are being spun uncontrollably and it is incredibly difficult to find your bearings. It feels like the ocean is sucking you downward. If you are not accustomed to navigating the unpredictable activity of an undertow it is easy to panic. I have been caught in some crazy waves that in the moment have made me wonder if I would survive. Fortunately like most kids who are raised by the beach, I was taught at a young age how to handle such situations and even though it could be frightening I knew that if I followed some simple rules of survival the wave would eventually subside and I would once again rise to the surface and be able to breathe. The first rule was HOLD YOUR BREATH AND DON’T PANIC. The duration of even a huge ocean wave is shorter than the amount of time you can hold your breath. The tendency when we panic is to gasp for breath but if when the wave hits you just hold your breath and don’t panic in time the waters will smooth out and the air in your body will cause you to rise to the surface. The second rule was DON’T FIGHT IT – GO WITH THE FLOW. Our natural reaction when we’re being knocked around and feel out of control is to fight to regain our footing but this is actually counterproductive when trying to react to a wave. All you will end up doing is completely exhausting yourself. Instead the trick is to relax your body and let yourself go with it until the wave passes. The force of the wave is far stronger than you are and fighting against it is futile. If you can calmly wait it out you will soon be released, your feet will find the ground and you will be able to push up to the surface and find your bearings. This is easier said than done when you are being tossed about by the waves! Some kids (and grown-ups for that matter) having been pummeled by a wave once decided it was not worth the risk and do not engage in the joy of riding the waves. They didn’t learn the survival tips for managing the undertow and so they settle for just playing in the shallow breakers. They are missing out on the exhilaration of swimming in the ocean. It is an incredible feeling to be carried by the rise and fall of the ocean swells and something thrilling about playing in the vastness of the sea. Life is often like this. A series of waves, some invigorating and awe-inspiring and others downright frightening and disorienting. But it shouldn’t stop us from engaging. If we want to experience all the joy and wonder that this life has to offer we need to pack up our coping skills and dive in deep. This is not me – but what a great picture! 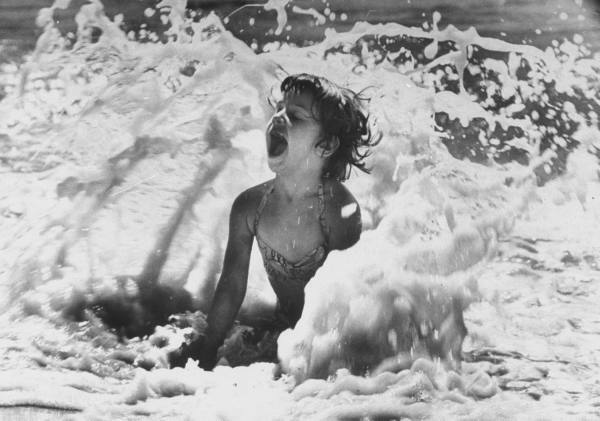 Young girl in the waves, Jones Beach, New York. July 1951, by Alfred Eisenstaedt. Instead of playing in the shallow breakers I am ready to dive in. This is an unedited, first attempt excerpt from a short book I am writing. Stay tuned! If you are in the swirl of an undertow please know that this too shall pass. Hold your breath (or since you are not really in the ocean – take some deep breaths) ~ don’t panic. Before you know it you will be in smooth waters once again. Yesterday in church my pastor read a verse that I’ve probably read a thousand times before. I have read it before without any particular revelation. But this time it really spoke to me. 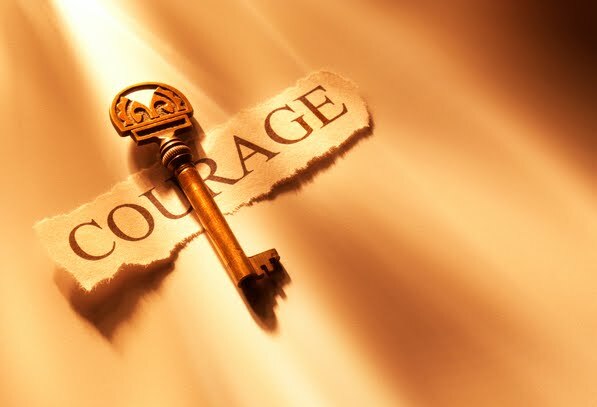 Acts 4:13 ~ When they saw the COURAGE of Peter and John and realized that they were unschooled, ordinary men, they were astonished and they took note that these men had been with Jesus. One of the things I was dealing with was a disconnection between my true authentic self and who I thought I needed to be in order to be worthy of my position as leader of FTGI. So I made a list. I listed all the things I thought a leader of a faith-based women’s organization should be and I rated myself. I quickly realized that I didn’t measure up. I won’t go into all of the items, but I listed that she (the leader) should have credentials. An education or some kind of schooling that qualified her to teach. Or maybe a master’s degree in social work, psychology or counseling…something. I went to college for a year and a half and quit. I listed that she should have unwavering faith. I question and I doubt and I have to pray that God will help me in my unbelief…a lot. More than I think a leader should. The list went on and although I met some of my made-up requirements overall, I fell short. As I stared at the list I heard God whisper to me that the list was mine not His. In fact He doesn’t even have a list. He called me and that is enough. He called Peter and John…two ordinary, unschooled men. He gave them COURAGE and that was enough to become history makers. It was enough for them to change the world and do things that astonished people!! What has God called you to do that you feel under-qualified for? Throw your list away, have COURAGE and go change your world! We’ve all heard that saying but I’d like to add to that and say… it also doesn’t define you. We all have “what”s in our lives. Those things that have been so hard to endure that they have threatened to kill us. Maybe not kill us physically but emotionally. In my worst times of depression I felt like I was fighting for my life. Not my physical life. But I was fighting for the life I want to live. The life that I know I can have. A life filled with joy and hope and purpose. Knowing that depression doesn’t define me has been critical in helping me to rise above it. I don’t like the idea that I am even associated with depression because it goes against everything I know I am. Depression is associated with hopelessness and lack of interest and lack of joy. But I am a joyful, hopeful and purposeful person. So even though I am experiencing those other emotions I constantly remind myself of the joy and the hope I know I have even if I can’t access them at that time. And I remind myself that I will get through it and I will be even stronger than I was before. Your “what” may be different from mine. You may be dealing with a difficult marriage or financial problems. Maybe you suffer from anxiety or issues from a haunting past that you are working through. These are all “what”s. They are things that you go through ~ they are not who you are. I am not a depressed person. I am a person who, at times, suffers from depression. Separating the two has been very important to me. Romans 8:28 brings it all into perspective. 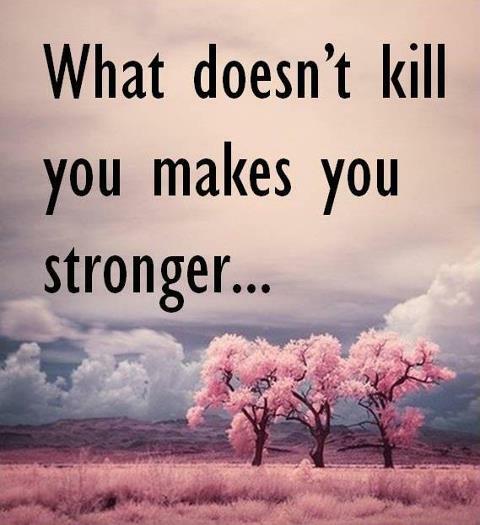 What doesn’t kill you makes you stronger…and it doesn’t define you…and God will work it into His plan for you and in the end…it will be good! I love to watch the Academy Awards but I am so thankful for DVR technology and the ability to fast forward through the boring parts! There are highlights though, like the amazing performance of “One Day More” by the cast of the movie Les Miserables! Goose bumps! One thing that jumped out to me this year was a recurring theme in the acceptance speeches. It’s something I’ve always known, of course, but it really stood out to me this year. They almost always begin with…”I’d like to thank…” Then they go on to list all the people that contributed to their success or supported them in some way. We cannot accomplish great things without the support and help of the people around us. This morning I spent some time being thankful for those people in my life that have supported me and cheered me on through good and bad times and have inspired me to reach high and not settle. Practicing thankfulness is such an important ingredient in the recipe for joy and contentment. Even on my darkest days I could always find something or more importantly someone to be thankful for. Who are you thankful for today? Who has supported you along your journey? Sometimes it’s good to say it out loud. Then I had a revelation. It occurred to me that these two roadblocks are common to many of us who are embarking on a new leg of our journey. So in the spirit of transparency I thought I’d share how I am dealing with these obstacles. As for #1 ~ It is very difficult to embark on a journey when you aren’t sure exactly where you are going. Yet, when we are living a life of faith this is often what is required. God plants a dream inside of our heart and calls us out but the path is frequently unclear. That is why He tells us over and over to “Be strong and courageous!” That command comes with a comforting promise that He will be with us wherever we go! (Joshua 1:9) He will actually whisper directions to us along the way. To combat the first issue I had to embrace the fact that every journey begins with one step. One step leads to another and before you know it, you have momentum. So, my one step is writing this piece today and in doing so I am no longer standing still but moving forward. As for #2 ~ Fear is a strong emotion and an opponent to every dreamer. It causes us to want to run back to our comfort zone and play it safe. In order to overcome the second obstacle I had to consider the stakes. If I don’t follow through and share what I believe is a story of hope then there may be someone out there who will remain hopeless. By keeping my story to myself, I could retain my pride and exercise my right to privacy, but I would do it at the risk of someone else having to navigate the dark hallways of depression without some glimmer of light. It is a risk I am not willing to take and that helps me move beyond the fear. What is at stake if you do not embark on your journey? What is it that holds you back? 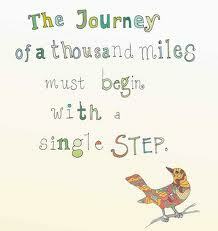 What one step could you take today to get moving? I’d love to hear your thoughts and how you deal with the roadblocks! Can we have a little heart to heart? It has been a crazy six weeks for me. Within that time I lost my mom and then headed straight into FTGI’s biggest event of the year, our Awaken Conference. Both events had their own brand of stress. Losing my mom was an emotional roller coaster. I was happy for her, sad for me and lots of other emotions in between. The conference (which was amazing by the way) was an emotional and spiritual high – a good kind of stress, the kind I love and crave, but stress nonetheless. I am in need of rest. In need of renewed strength…body, soul and spirit. So I’m waving the white flag and retreating for a little bit. I just wanted to let you know where I went. I’ll be taking a short break from blogging and other things in order to recharge. You understand, right? We all get weary. We all lose strength at times. Thankfully we have promises to hold onto and therefore we have HOPE. You may be weary too, for your own reasons. Take heart and know that renewed strength is promised but sometimes you need to slow down long enough to grasp it. Allow Him to lead you by the quiet waters and restore your soul. That is where I will be. The beginning of the new school year brought back a memory for me of my oldest son starting a new school. It wasn’t the beginning of the school year, it was actually towards the end, but it was a new school to him because we had just moved to Florida from New York. I remember sitting in the school administration office with him waiting for his class assignment. He sat so still, trying to be brave but I noticed him chewing away at the inside of his cheek, betraying his nervousness. It was killing me! I wanted to scoop him up in my arms and assure him that it was going to be okay and that I wouldn’t sign him up to do something that wasn’t good for him. But he was in 1st grade and already too old for overtly public displays of affection from his mother! I knew that he was a smart boy and that he would make friends easily and in no time at all would feel right at home. He did not share my confidence. Have you ever felt like God signed you up for something that makes you chew your cheek, or bite your nails, or do whatever it is you do when you get nervous? Have you ever felt that pang of anxiety when stepping out into a new venture? The other side of familiar is frightening, a little nerve-wracking at best. But if God is leading you there, (that’s a BIG “if” by the way so you want to be sure about that before you start) you can rest assured that you are prepared and that ultimately it will be for your good. This morning I was reading Deuteronomy 8 – a great chapter on this topic!! God often signs us up for things that test us and humble us but it is to bring us to a place of tremendous blessing if we persevere and follow as He leads. There is way too much good stuff here to write in one blog so I encourage you to take time to read it if you can. 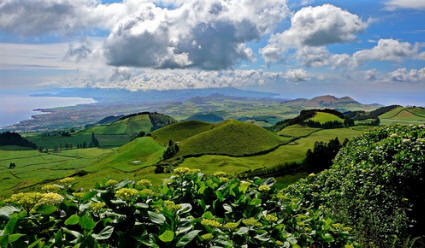 I want to go there, don’t you? 6th Impossible Thing I Believe Before Breakfast: I can overcome! 2. (We) Came to believe that a Power greater than ourselves could restore us to sanity. Have you ever felt like you have gone around the same mountain in your life over and over and just can’t seem to get over it? Maybe it’s an unhealthy behavior that you keep returning to. Maybe fear has a grip on you that prevents you from moving forward with your life, or you just can’t seem to shake self-doubt and insecurity that has plagued you. 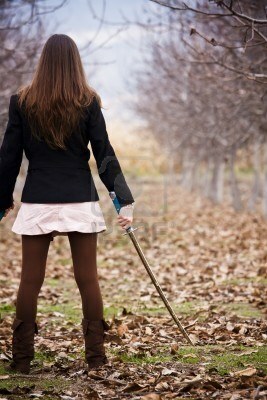 Your adversary may be flesh and blood, a difficult relationship that you have a hard time navigating. You may be at a point where you just feel like you cannot seem to overcome that monster you face no matter how hard you try. The bad news is you are probably right. On your own you probably cannot. The good news is that inside of you dwells a great treasure. A power that can overcome anything! We need to stop trying so hard to fight our battles with the little strength that we have on our own. We have access to the most powerful force in the universe, let Him fight on your behalf! Pick up your sword this morning, stand with your shoulders squared and believe that you can overcome anything by the power of the Holy Spirit of God that dwells within you! Romans 8:37 …in all these things we are more than conquerors through him who loved us. 5th Impossible Thing I Believe Before Breakfast: There is a place called Heaven. My mom was in a coma and I was scrambling to learn everything I could about traumatic brain injury and coming to terms with the fact that, barring a miracle, my mom would never recover completely from her car accident. In between reading medical journals and all the information provided to families of head injured patients I picked up my Bible begging God for something to hold onto. I randomly read Psalm 27. That’s when I read that verse. That was the distinct moment when I began to intentionally live my life with an eternal perspective holding onto the hope that there will come a day when my mom will be whole and healed. I WILL see the goodness of the Lord in the land of the living. Of course I will see his goodness here as well but sometimes when times are tough it’s eternal perspective that I need. Eternal perspective gives us something to hold onto when despair is threatening to overtake us. It also helps us to prioritize the things we allow to take up our time and our emotions. We can eliminate stressing out over things that have no eternal value. We can determine to live everyday purposeful to invest our energy and time in showing love and furthering the kingdom of heaven. So, everyday before breakfast, I try to make it a practice to believe that there is a place called heaven and it sets the tone for my day. 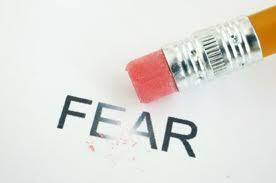 4th Impossible Thing I Believe Before Breakfast: Fear can disappear! After my mom’s car accident I felt extremely vulnerable. Up until that point in my 26 year old life I had never experienced personal tragedy. 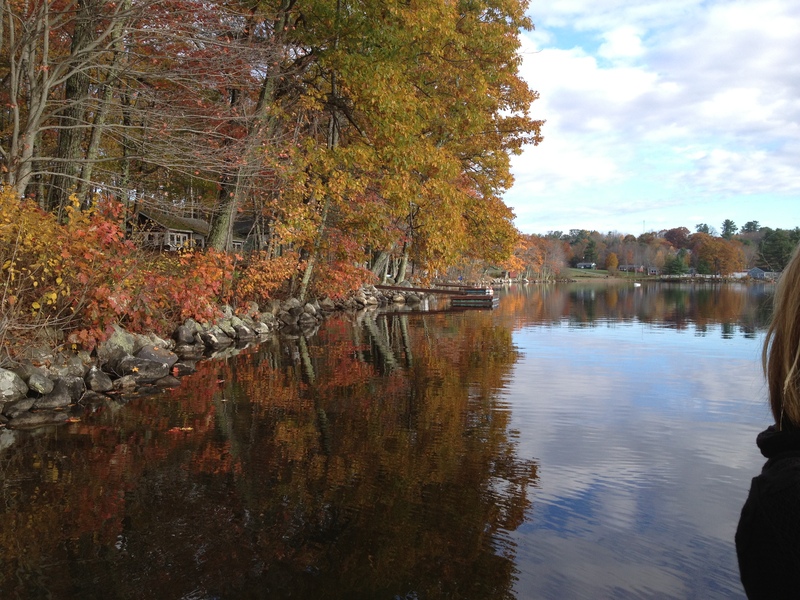 Once tragedy struck, it seemed as if a huge dam that had been protectively holding back a reservoir of potential danger had broken, flooding my heart with fear. Fear began to haunt me. If this could happen to my mom…what else could happen? One snowy night I was getting my young boys in the car to drive to a church service. I was strapping my little guy into his car seat and without warning fear struck. In my mind’s eye I could see the article in the paper of the tragic accident involving a young family. The temptation to take my boys back in the house and tell my husband that we needed to stay home was nagging at me. But I knew that if I did, I would be surrendering to the fear. Once we arrived and got settled into our seats the visiting speaker began to share and his topic was “Overcoming Fear” of all things! He called for those people who were struggling with paralyzing fear to come forward to the front of the room so he could pray for them. In retrospect it is easy to see the attempt to keep me from being in a service that would bring me one step closer to the peace that would replace my fear. I still have moments of fear, however, I have never become a slave to it again because of this revelation that I had that night. I have clung to this truth ever since. If I trust God with my life, I have nothing to fear. Not because bad things will never happen to me again but because I know that He will be with me and sustain me through whatever life brings. I made the mistake of believing that if I held onto fear I would somehow be protecting myself against it. What I needed to believe and still need to believe everyday (preferably before breakfast!) is that when trouble comes my way He will hide me in the shelter of His love and He will sustain me. Most of the times the things we fear are things we can’t control. What we can control is where we put our trust and what we allow our minds to dwell on. When we put our trust in the one who is our light and our salvation fear can and will disappear. Praying for you today, friends, that you will take the step to replace fear with trust and walk in peace! Psalm 27:1 The LORD is my light and my salvation–whom shall I fear? The LORD is the stronghold of my life–of whom shall I be afraid?